Connect with me and contribute your ideas, connections or even your own video-interviews! This website aspires to offer you interviews with speakers you are interested in, and on topics you want to know more about. If you are in a position to record a video-interview yourself, please let me know what you have in mind and I’ll try my best to help. Send me an email at warandpeacetalk[at]gmail.com or brunojbr[at]hotmail.com ; get in touch on Twitter or LinkedIn or give me a call at +31 6 24737738 ! 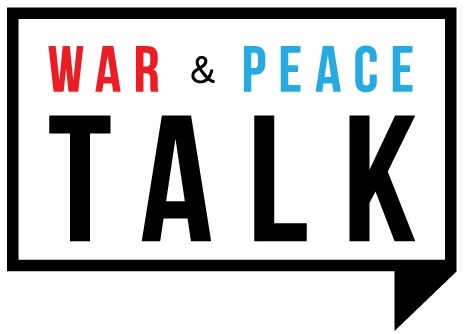 Enter your email address to follow War and Peace Talk and receive notifications of new interviews by email.